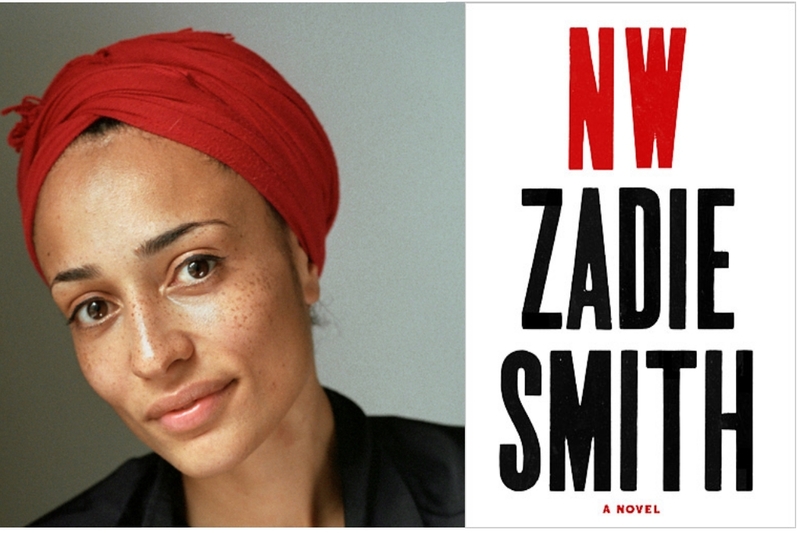 Last night Zadie Smith read from her new novel, NW, at Barnes & Noble in Union Square. With a red head-scarf and possibly the most coveted cheekbones in the literary world, she read two passages from the newly released novel, seven years in the making. NW centres around a fictional housing estate in London’s north-west. By all accounts NW is an almost Joycean journey through the class strata of London Smith has been giving voice to since her dazzling debut, White Teeth, in 2000. Smith’s gifted ear for dialogue and dialect are at the fore of her work, and reading aloud she brought them all to life with a range of accents and inflections. Smith credits her “very mixed” family for opening her ear to a diversity of voices, but says the least any writer can do is listen. In trying to research the latest street slang for NW’s characters Smith briefly employed the advice of a young friend, but soon became exasperated with the sheer volume of language. Drawing reference to The Wire, she said that accuracy doesn’t always best serve storytelling. She was generous, too, with advice about writing. Asked how she’s learned to deal with the insecurities and struggles of being a writer, Smith’s eyes widened as she said the insecurities get worse. “How do I deal with it? When I’m not pregnant, I drink a lot,” she said to a roar of laughter. Speaking more seriously Smith said that teaching, having a job, has helped her avoid the depression that can go along with being buried in a piece of writing work. (Smith is on the faculty of NYU’s creative writing program). She described herself as “easily hurt”, and said that while it can be hard to “block out the noise” of criticism, the best escape is writing itself. An audience member asked whether Smith’s time living in New York might lead her to write about the city, but Smith demurred saying that it takes a long time for her ideas to “percolate”. She doesn’t think her voice is strictly necessary, either. Penguin has a preview of NW’s first couple of chapters here. *Image of Zadie Smith by Dominique Nabokov via the Telegraph. that sounds lovely! i would love the chance to hear her read. and yes on the cheekbones comment. Thanks Liz! She really was a beautiful reader. I hope you get the chance to hear her!